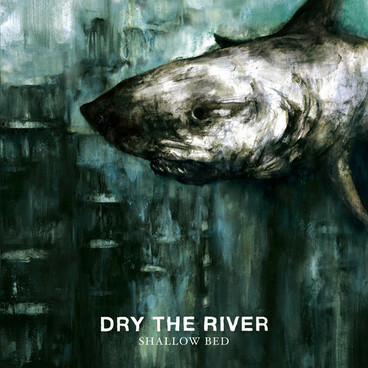 Dry the River‘s debut album, Shallow Bed, is an easy sell. It’s filled with warm, campfire sing-a-longs that start slow but consistently build towards boisterous, celebratory choruses. Dry the River released Shallow Bed on April 17, 2012 and has been compared to Fleet Foxes and Mumford & Sons…which is definitely not the worst thing in the world. Shallow Bed is a rustic record that embraces the band’s indie folk roots and showcases delicate, full harmonies, sweeping violins and subtle country influences. New Ceremony is the embodiment of the tone of the album. While starting with an overwhelming sentimentality, just hold tight until the 1:32 mark, trust me. The intensity of the chorus can’t help but consume you. Man, No Rest is an emotional powerhouse of a song. It starts off gently, but is leveled with an overwhelming feeling of love and desperation as lead singer, Peter Liddle, croons with a trembling fragility that makes you think at any point, his voice will shatter under the weight of emotion. Another highlight of the album is the charming, familiar feeling Bible Belt. A sad, carefully crafted melody, Bible Belt proves that Dry the River can pull you in with gentle verses as much as it does with its dynamic choruses. Shallow Bed is versatile in that it can be played at any time, and emotionally, under any condition. If I didn’t hate the outdoors, I’d play this in the middle of the woods, around a bonfire with a group of friends. However, the album is just as good with friends in my apartment surrounding a hot, rusty, old radiator.